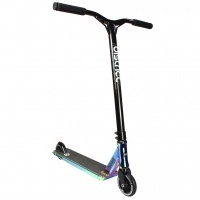 A tripple concave deck with Double D Down-tube. 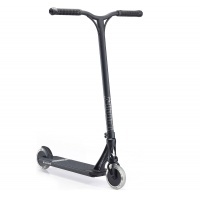 The Crisp Switch in Matte black and Neochrome is a great looking, amazing performer scooter at an incredible price! 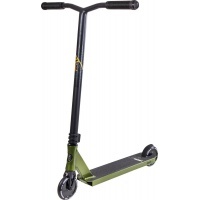 The Kota Mania is slap bang central in the Kota scooters range. 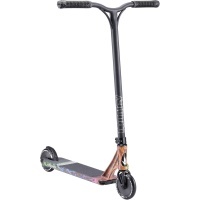 With 110mm wheels and signature bars, this scooter rolls and rides with incredible comfort. The Kota Recon is one of the top models within the Kota Scooters range and is designed for older children or young teenagers. This scooter boasts wider wheels for grip. 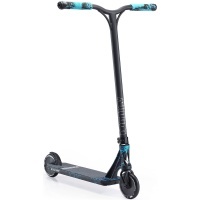 The CX1 from Nitro Circus in Black and Blue colour scheme is designed specifically by Ryan Williams so you know your getting the best of the best. The VX7 range is here, and it is looking better than ever. 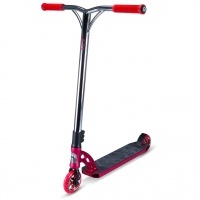 Here we have the MADD VX7 Team in Red. A step up from the Pro, the Team is amazing value for money. Raising the bar for the 2018-19 season the new VX8 Pro Range delivers both quality and great value. 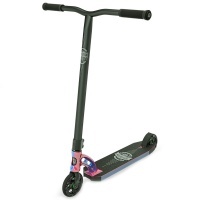 Featuring the ever popular hollow core wheels in 110mm and more, this is loaded with top tech. 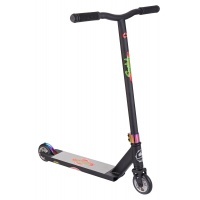 The 2018 Grit Tremor is here! 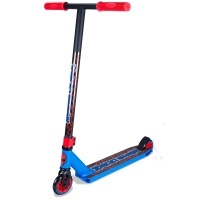 The Tremor has always been very popular and the latest one is no exception. They look amazing and come packed with new features. 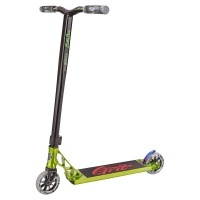 The 2018 line of the Grit Tremor is here! 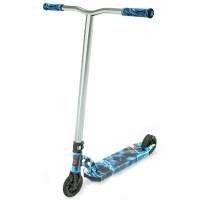 The Tremor has always been very popular and the latest one is no exception. They look amazing and come packed with new features. 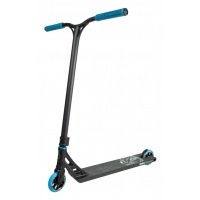 The all new VX8 Ltd Team Edition Scooters are designed to give the best riders the ability to progress further, to larger tricks and cleaner landings. 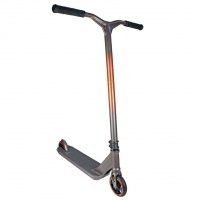 The CX2 scooter from Nitro Circus and Ryan Williams in Polished. 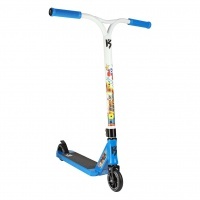 Designed, tried and tested by Australian legend Ryan Williams. The all new VX8 Team Edition Scooters are designed to give the best riders, the ability to progress further, to larger tricks and cleaner landings. With new features all round this years model beats any expectations we had. 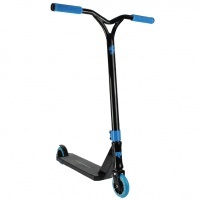 The all new Addict Equalizer Black and Blue has landed in store. 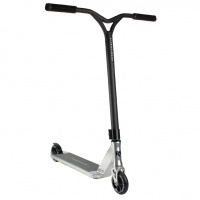 One of the only street specific completes on the market you can buy, rest assured this scooter is full of top components. 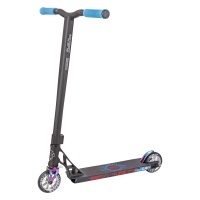 The CX3 from Nitro Circus in Red and Blue colour scheme is designed specifically by Ryan Williams so you know your getting the best of the best. The all new VX8 Extreme Limited Edition has landed. 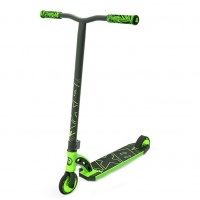 Neuron is an epic colourway, and with unreal new features, the new improved VX8 Extreme Scooter is an incredible addition. 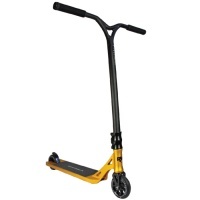 Lucky, alongside Tanner Fox, have combined to produce this epic complete pro scooter. 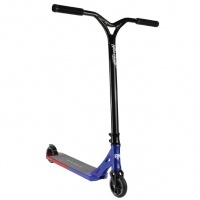 Suited to TFox preferred riding style, this park setup is for those ramp slayers! Here it is people, the long awaited Ryan Williams signature scooter has arrived and damn it looks amazing. 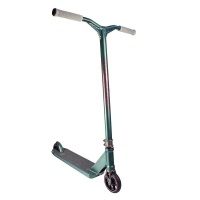 These things are one of the sickest completes we have seen. The VX7 range is here, and it is looking better than ever. Here we have the MADD VX7 Team in Black and Chrome. A step up from the Pro, the Team is amazing value for money. Gold and Black Grit Invader scooter, as close to a custom as any out of the box scooter can be. 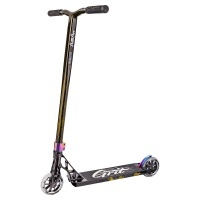 Using high quality components from Grit's aftermarket part range. 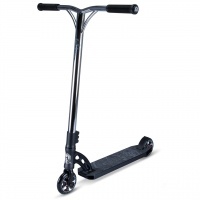 The all new VX8 Limited Team Edition Scooter is designed to give the best riders the ability to progress further, to larger tricks and cleaner landings. 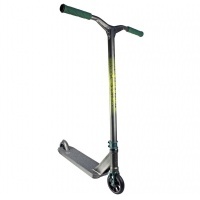 The new MGP VX8 Limited Team Edition Neo Hydra Scooter is designed to give riders the ability to progress further, to larger tricks and cleaner landings.